It is fair to say that things in Oklahoma had been falling apart. A plunge in oil prices caught up with years of tax-slashing and the results were ugly: cash-strapped school districts going to four-day weeks, prisons dangerously overcrowding and rural hospitals shutting down. The two-term Republican governor, Mary Fallin, shows up in poll after poll with approval numbers well below freezing, reliably among the least-popular governors in the country. As in Louisiana and Kansas, the fallout of fiscal austerity had spread quickly to politics. And they won't. They don't know how to make cutting everything work to build something up. Nobody does. OKLAHOMA CITY — State Sen. Joseph Silk has introduced a bill in the Oklahoma Legislature that would criminalize abortion by including it in the state’s definition of felony homicide. Allie Shinn, deputy director of the ACLU of Oklahoma, called Silk’s measure an extreme affront to reproductive rights. It says any federal laws, regulations, executive orders or court decisions that deprive an unborn child the right to life are void. “The goal is to say we are a sovereign state and choose to abolish abortion,” Silk said. There should be some meaningful form of censure for politicians who thumb their nose at taxpayers by deliberately pushing bogus bills they know violate the constitution, just to score some points with their base. This is a guy who voted against education in the state. Against wind energy to the benefit of big oil. Far southeast corner of the state - bunch of those right wing extremists I have mentioned in other post. The recently released Gallup-Tulsa Citivoice Index includes compelling data that should lead the state to reconsider Medicaid expansion. The survey is a fascinating look at how well Tulsans are doing in their day-to-day lives. It gauges everything from how we feel the Police Department treats us to whether we would recommend that a friend live here. 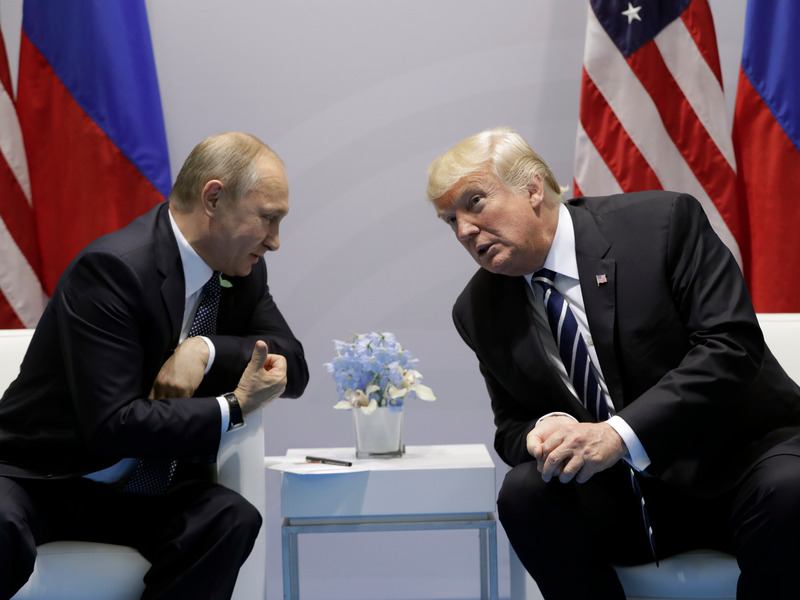 Some 22,500 surveys were sent out, and the Gallup people parsed up the results along racial, geographic and income lines. Here’s a number that jumped off the page at me: 36 percent of the people of Tulsa have experienced a time in the past year when they didn’t have enough money to pay for health care or medicine for themselves or a member of their family. Among people who earn less than $27,000 a year, the number was 61 percent. If you’re poor in Tulsa, watch out. It’s a crisis invisible to a lot of the comfortably insured middle class people of Tulsa. We go about our lives secure in the knowledge that if we get sick or injured, we’ll have the resources to be made whole. We pull out the insurance card at the doctor’s office, handle the copay and, from there, concentrate on getting well. It’s a different story for the uninsured. They get sick and either seek the help of charities, pray that their problem goes away, or, if it’s bad enough, head to the emergency room — the only place that can’t turn them away. The result is higher insurance costs for employers and individuals, higher hospital costs for everyone and emergency rooms clogged with people who should have been treated in doctor’s offices. State policy has knowingly created an underclass of people — mostly employed in low-wage jobs — who can’t afford to get sick. They don’t earn enough for “Obamacare” subsidies and they don’t qualify for Medicaid, which Oklahoma essentially reserves for children, pregnant women, the aged and the disabled. Thus, more than a third of your neighbors had to make the wrong medical choice last year because they just couldn’t afford to do anything else. Oklahoma’s policy of denying coverage to the poor magnifies eventual health crises and costs. People with high cholesterol never have it checked by a doctor. Obese people never got their blood sugar tested. And so, poor, sick Tulsans eventually roll into the emergency room on gurneys, incapacitated by strokes, heart attacks or diabetic crises. It makes Oklahoma sicker, poorer and less productive. Oklahomans pay the same “Obamacare” taxes as the people in Arkansas. But in Arkansas, which accepted Medicaid expansion, the residents have a safety net that ensures health care coverage. The federal government is paying for 90 percent of the cost of that program, and the resulting infusion of money caused the state economy to grow enough to finance a sales tax cut. In Arkansas, federal money helps pay for residential mental health and substance abuse programs. In Oklahoma, it’s all on the state’s dime. In Arkansas, federal money is there for sick prison inmates. In Oklahoma, state taxpayers pick up those costs. All of that because our legislators have been too stubborn to accept the “Obamacare” money. And so, more than a third of your neighbors have to wonder if that persistent cough is just a cold or the first sign of a horrible scenario. Here’s the terrifying truth of being uninsured in Oklahoma: A broken bone can turn your poverty into a crisis with no possible recovery, a virus can wreck your family’s future. American values of working hard, dreaming big and saving for the future are meaningless if a traffic accident can leave you disabled and destitute. When we copy a law from another state, shouldnt we follow through when that states' law is thrown out? Medical Marijuana card holders in Oklahoma are automatically considered DUI. Lets fix that. Motorists who have used marijuana in the past cannot be charged with driving under the influence on that basis alone, even if some traces of the drug are detected in their blood, the state's top court ruled Tuesday. The court was unconvinced the mere presence of the metabolite, which can remain in the bloodstream for 30 days, is valid evidence of impairment. The Arizona Supreme Court concluded in Tuesday's ruling that interpreting the law so that any byproduct of cannabis proves impairment "leads to absurd results." Lawmakers shifted money away from the judicial branch and replaced that revenue with fees and fines. It has created massive debt for defendants, who often end up back in jail for nonpayment. It has turned jails into debtors’ prisons. Our jails need to hold dangerous criminals or defendants, not those having trouble paying off an old court filing. The goal of the court system is to dispense justice, not create collections accounts. Prosecutors should also view stealing from those too poor to afford lawyers through the act of asset forfeiture, as being just as immoral. Though the overall amount of collections from forfeited cash and property decreased in 2018, most district attorneys’ offices across the state actually saw an increase in forfeiture funds, an analysis by The Frontier found. The Tulsa County District Attorney’s Office more than doubled the amount of cash and property it seized during Fiscal Year 2018, going from a little more than $519,000 the previous year to nearly $1.2 million the following year. One new stream of revenue for district attorneys’ offices is the Uninsured Vehicle Enforcement Diversion Program, which uses automated license plate readers to check whether a vehicle is insured. The fees collected under the program go to district attorney’s offices, though there have been some issues with drivers who do have insurance being caught up in the program. If you spend $1, I (party 2) will give you $9. Or in this case, they are passing up $900 Million. Saying no, we don't want almost a billion dollars, because we have to come up with $100 million... to expand Medicare and actually help the tens of thousands in this state who have lost health care and insurance during the Failin' regime. Rapidly on track to be first worst in the nation. Oft referred to as the buckle of the Bible belt, Oklahoma’s two major cities upheld that image according to a recent Barna Group study about how much God’s Word is read by their residents. The state’s capital city ranked No. 15 on the list, and Tulsa came in at No. 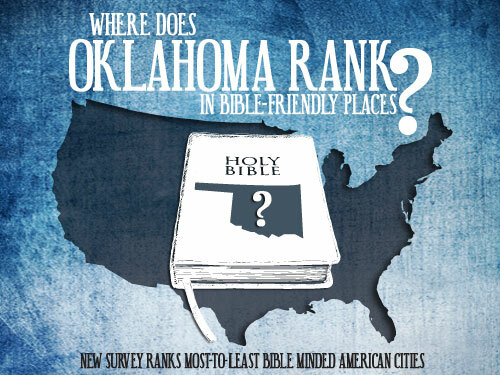 34 among the top 96 “Bible-minded” cities in the United States. The least Bible-oriented markets include a mix of regions, but tend to be from the New England area. Easily the lowest Bible-minded scores came from Providence, R.I. (9 percent) and Albany, N.Y. (10 percent). To put this in perspective, the most Bible-minded markets are five times more likely to have residents who qualify as Bible-minded than is true in these two Northeastern cities. Though these two cities are the most extreme, none of the cities in the bottom 10 break 20 percent, where even one in five people could be considered Bible-minded. The New England area is home to most of the markets in the bottom 10 Bible-minded cities, including Burlington, Vt. (16 percent), Portland, Maine (16 percent), Hartford, Conn. (16 percent), Boston, Mass. (16 percent), Buffalo, N.Y. (18 percent) and New York, N.Y. (18 percent). The remaining markets in the bottom 10 are primarily in the West and include San Francisco, Calif. (16 percent), Phoenix, Ariz. (17 percent), and Las Vegas, Nev. (18 percent). Cedar Rapids, Iowa (18 percent) being something of an outlier. Wow, we're lower than Las Vegas, who'd thunk that? Southern Baptist. Not to be confused with Baptists. They are the ones who broke away from Baptists because of the opposition to slavery by Baptists. Back in the 1840's-1850's. They have their own interpretation of what "Bible minded" is.